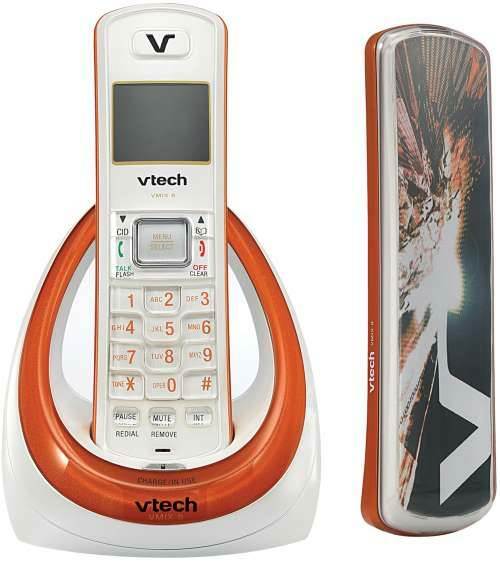 New to the VTech DECT 6.0 lineup is the customizable LS6117, which was inspired by skateboard and snowboard designs. The front offers all the key functionality of a cordless phone while the back side is dedicated to making a design statement. With the LS6117, consumers can easily alter the back of the phone to feature one of five unique design inserts provided, or they can log onto https://www.vtechphones.com/ to create and print their own designs, including adding pictures, to slide into the phones back panel.